Graffiti tags have been an increasing problem across Alberta. The last several years have seen an increase in aerosol artwork, much to the dismay of property owners. If it is a first time for graffiti vandalism or a repeat performance, removal is never fun! Waking up an unwanted coat of paint is unpleasant but getting rid of it no longer has to be! Gorilla Property Services prides itself on expert results and a unique way of achieving them. If you are looking for local, reliable service for your Red Deer graffiti removal, our technicians will see your request, and raise you! Nearly everyone in Alberta is familiar with traditional property services company. Traditional services, traditional methods and standard results. Our Gorillas are not happy to be “traditional” and prove this by making your Red Deer graffiti removal, fun! When you have an upcoming appointment with our Gorillas, you will never have to look far. It takes a lot of equipment to perform a proper Red Deer graffiti removal and that is why our Gorilla technicians arrive in vibrant vehicles, equipped with top of the line safety equipment and tools for the job. If you think our Gorilla Mobiles sound loud, wait until you see our uniforms! Gorilla technicians love to stand out, and we dress the part. Apart from bringing an element of fun to the job, our Gorillas bring all the experience and know-how, to have your property looking brand new. Instead of simply treating a paint stain, our Red Deer graffiti removal service the entire affected area. Graffiti is never confined to one space around your property. It might only affect one area but aside from the initial design, property owners have to contend with overspray and bleeding as well. It takes a lot of work to get these spaces back to where they need to be, but our Gorillas are up for the challenge. In addition to getting rid of this paint, our experienced technicians protect your property. Even though we use environmentally-friendly products, chemicals, dirt and bacteria can run off of the walls of your property. That is why we block drains in order to prevent contaminated water from leaking in to other water sources. 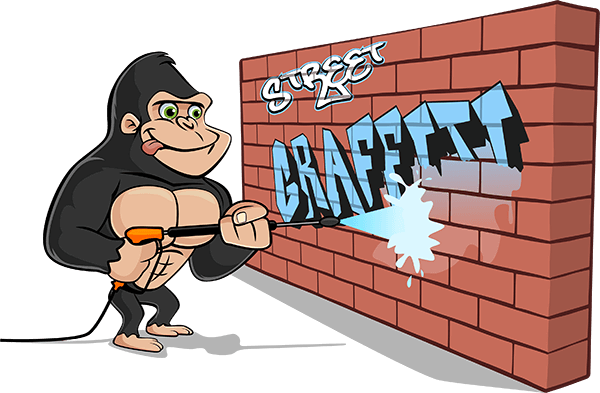 When you are met with a graffiti issue, our Gorillas are available to fix it for you. 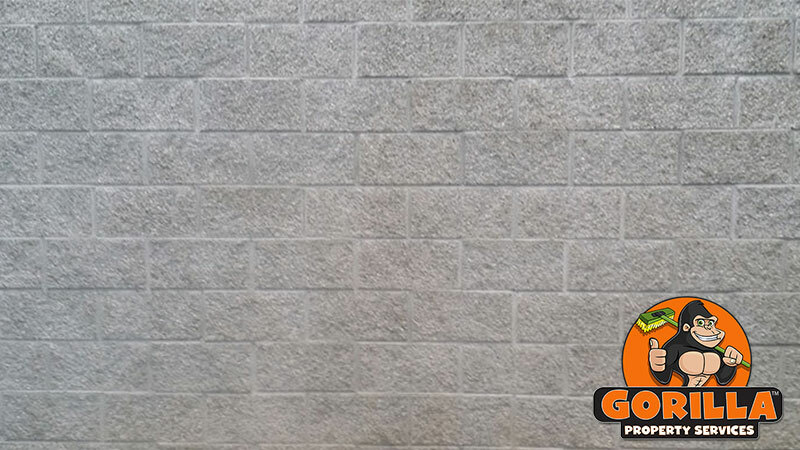 The most common Red Deer graffiti removal is performed with eco-friendly cleaning products and elbow grease but we have gone as far as repainting in order to get your property back to its former glory.